Homes are built to be energy- (and therefore cost-) efficient by holding heat in during the winter time and keeping heat out during the summer. Winter weather prompts homeowners to tightly seal any cracks in insulation that could allow cold drafts into the home. This, in turn, also seals off the home from any fresh air and raises the concentrations of allergens, pollutants and chemical concentrations in the home. Add Stack Effect…It gets Worse! 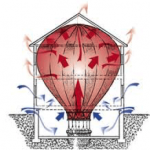 The same force that causes hot air balloons to rise in to the sky is present in all of our homes. This “stack effect” draws air up from the lowest levels through floors, doors, windows, and up from the basement and/or crawlspace commonly called “chimney effect”. This stack effect or chimney effect is very powerful during the winter heating season actively introducing basement/crawlspace air up into the living environment contaminating the quality of indoor air. 40% of the air we breathe in the living spaces was once basement/crawlspace air! Immediate effects of poor indoor air quality can show up after just a single exposure and include headaches, dizziness, fatigue, and itchy eyes, nose, and throat. Asthma and chemical sensitivities can also be aggravated by exposure to indoor pollution. Allergic responses to pollutants in the air can last for months on end as the air quality continues to worsen. Chronic sensitivities may also build up after repeated exposures. Although it remains uncertain what levels or periods of exposure are necessary to bring on serious health effects from indoor air pollution, long-term effects of indoor air pollution include respiratory disease, heart disease, and cancer. 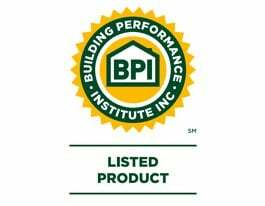 The EPA recognizes two basic strategies to improve indoor air quality: source control and ventilation improvements. Improving indoor air quality through source control involves removing the sources of pollution. Gas emissions, like those from a poorly maintained stove, for instance, can be adjusted in order to lower their emissions; asbestos can be sealed or enclosed. Often, source control is a more cost-conscious way to remedy poor air quality, however source control is not always possible or practical. You can easily check to see if your home might have ventilation problems. Condensation on walls or windows, stuffy air, moldy areas, or dirty heating or cooling equipment are all indicators. Odors (which are most notable upon entering the home from outdoors) are also an indication of poor ventilation. When performing many home improvement or hobbies, it’s especially important to be aware of the need for proper ventilation. Without ventilation, pollutants such those emitted during painting, welding, sanding, or even cooking, can add toxic elements into your home environment. "6 out of every 10 homes and buildings are sick, they are hazardous to your health as a result of airborne pollutants." Have Questions About E•Z Breathe®’s Asthma & Allergen Removal? Ready for a Cleaner, Healthier Living Environment? What is your home’s foundation? By filling out this quick form, we will contact you regarding your free home air quality evaluation and current EZ Breathe promotions. 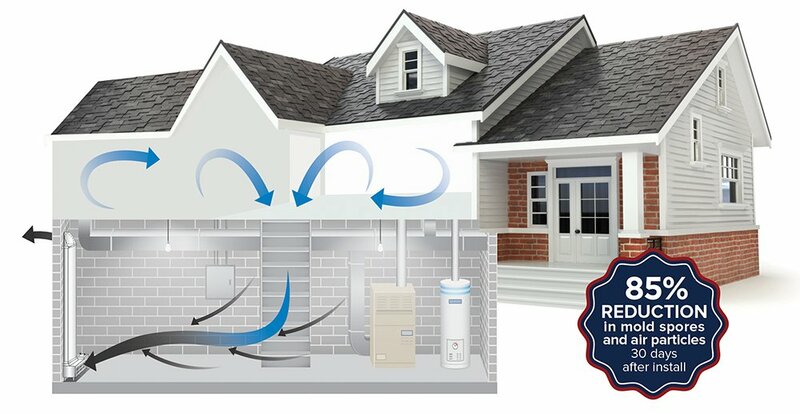 The E·Z Breathe® System is a maintenance free unit that helps protect your home and family from excess moisture, molds, toxins, allergies and poor air quality resulting in a cleaner, healthier living environment. It provides powerful ventilation, supporting the EPA’s recommendations to use a ventilated system to reduce indoor air pollution. E•Z Breathe® associates hold the following certifications"
E•Z Breathe® Scientific Data tab"
© Copyright EZ Breathe®. All Rights Reserved. Order Your E•Z Breathe® Today! Discover 7 Healthy Home Tips!